A group of twelve people founded the Company and once worked together to find evolved humans. Much of their purpose, origin, and history remains to be revealed. Daniel Linderman and Arthur Petrelli serve together during the Vietnam War. Nathan tells Quesada that Arthur Petrelli once worked as an attorney in the firm which represented the Linderman Group. Linderman tells Nathan that he and many others found each other, and they tried to save the world, but some lost their way and the group split. Kaito tells Hiro that years ago he had allies--others with power. He says that they fought to save the world until some lost their way. In one of Peter's dreams, Peter sees a past conversation at the Deveaux building involving three members of the group of twelve: Angela and Charles talk about Linderman's involvement in Nathan's election. Kaito Nakamura, speaking to Angela Petrelli, acknowledges Charles Deveaux, Mr. Linderman, and Mr. Petrelli as fellow members of a group of twelve--of whom nine remain--who once tried to find evolved humans. Kaito tells Angela they are in danger. Later that night, Kaito is killed by someone he recognizes. Angela's fingerprint is found on the picture of Kaito, and she is questioned by the police. She tells of her past history with Kaito and the symbol on the photo being that of her husband's law firm. Angela admits to killing Kaito, but Matt, using telepathy, hears Angela's thoughts to tell him to back down, or else the investigation will expose all of them. Matt, in pursuit of the truth, asks Nathan for help, and Nathan tells Matt that he has the entire photo that was found on Kaito and Angela. Later, Nathan shows Matt the photo of the twelve on Charles Deveaux's rooftop. These people include Bob, Angela, Kaito, Mr. Petrelli, Linderman, Charles, and Maury Parkman, an unnamed woman, and four other individuals. Matt and Nathan burst into Maury Parkman's apartment and find Maury armed. They ask him why, and he shows them a death threat. Maury tells them that he, Angela, Arthur, Kaito and Linderman found each other, and they tried to save the world. Later, Maury escapes from Nathan and Matt, and Nathan finds a death threat with Bob's picture. Nathan scans several files Bob has in his office, and recognizes the names of several people in the group -- Linderman, Deveaux, Pratt, and Petrelli. Nathan does not recognize Adam Monroe's name. According to Bob, Adam Monroe suggested that the group come together to help make the world a better place. Bob explains that the group locked Adam up for several years. Adam escaped, and is responsible for the deaths of the group of twelve and Maury Parkman is simply one of his handymen. Bob also says that Linderman was a disciple of Monroe's, mirroring Adam's philosophies on saving the world by using holocausts or plagues. Adam reveals to Peter that the individuals in the group of twelve photo are the founders of the Company. On November 2, 1977, Adam Monroe is locked up by the group of twelve because he tried to release Strain 138 of the Shanti virus. When Victoria insists that the program be shut down, Kaito says that the other founders would never allow that. In the present, Victoria Pratt is murdered by Adam Monroe in front of Peter Petrelli. Adam writes the Symbol on Victoria's photo in blood, and leaves it next to her dead body. When Angela Shaw is brought to Coyote Sands in 1961, she's quickly greeted by Charles Deveaux, Bobby Bishop, and Daniel Linderman. The four of them form a bond. Following a massacre at the camp, they vow to never let this happen again. Angela states that she had a dream that they would form a company in the future to do so. In 1963, Angela, Bob, Linderman, and Charles are tracking down Chris Coolidge because they know that he has an ability. Kaito Nakamura is also in attendance at this bar and introduces himself to Angela, Bob, Linderman, and Charles and soon after asks Angela to dance with him. In 1963, Angela, Bob, Linderman, Charles, and Kaito all sit back while Chris Coolidge leads a riot. Chris is about to show everyone in the riot his ability and Kaito attempts to stop him, but Chris is shot dead. After moving into their first building, the group asks Kaito to join the Company. In 1978, Angela, Bob, Arthur, Charles, Kaito, and Linderman all discuss options on what to do after the accident that Mindy Sprague caused at Three Mile Island. Arthur introduces the Company's founders to Maury Parkman who joins the Company. In Hiro's second blog post, "Back on Track", he mentions how he has been searching through his father's office and has found nothing on the Company or its founders. In Hiro's eighth blog post, "More Strange Video", Hiro finds a reference to Maury Parkman and wonders if it is Matt's dad. He notes that he knows that Maury is one of the twelve original founders. Hiro posts on the blog the photo of all twelve. In Hiro's ninth blog post, "Memories of Maury", Hiro is going around files from 1978 and he notes that he figured 'Angela and the gang' had some post-mortem on the Mindy incident. Susan Amman's name is not clearly written on the sticky notes used to obtain the founders' names. Her last name is listed as "Ammaw" in Issue 4 of Heroes: The Official Magazine, but the writer of the magazine article has not been confirmed to have any official ties to Heroes. Of the known members, Angela Petrelli, Arthur Petrelli, Daniel Linderman, Bob Bishop, Maury Parkman, and Charles Deveaux have confirmed abilities. Additionally, Harry Fletcher and Paula Gramble's names appeared on Chandra Suresh's list. It seems likely, however, that others in the group are evolved humans. Some members of this group have ties to the Linderman Group. It appears that more than one version of Nathan's photograph exists. In an interview, Joe Pokaski and Aron Coleite confirmed that the discrepancies are the result of production errors. There are different versions of the full-group photo, as well as multiple versions of the sub-set photos of Kaito and Angela's death threats. One full-size version of this photo shows Bob wearing a black suit, while another version shows a man in his position wearing a tan suit. Kaito's individual picture has two variations: one which has a person in a black suit standing to his left, and one with someone standing to his left wearing a tan suit. Angela's individual picture has two variations: one which shows her husband standing behind her right shoulder, and one with no one standing behind her. In the large photo of the twelve, there is no "cherub" behind Bob's left shoulder, yet in the ripped photo with Bob, the cherub is shown. 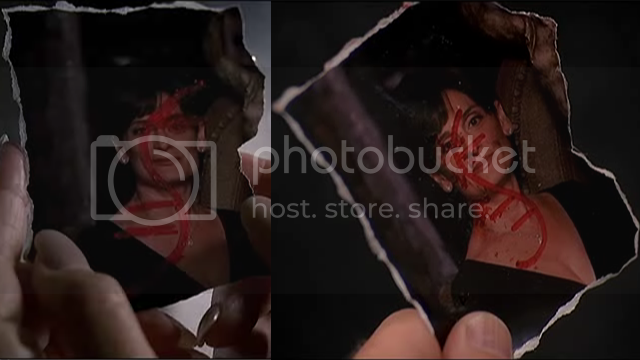 There are two versions of Angela's ripped photo, with noticeably different marker thicknesses for the Symbol and ripped edges. It appears, from the cherubs and the arc in the photo's background, that this picture was taken on Charles Deveaux's rooftop. The password to Linderman's archives at corinthianlasvegas.com is "Twelfth". Angela Petrelli is the only known surviving member of this group. Of the twelve founders, six have children with abilities (Elle Bishop, Nathan and Peter Petrelli, Hiro Nakamura, Matt Parkman, and Isaac Mendez) and two have grandchildren with abilities (Claire Bennet and Matty Parkman). Some fans have noticed that the Company's founders have a resemblance to the twelve apostles. They were twelve people brought together by one single immortal man who wished to change the world. They all had amazing abilities, though some had different views about humanity's destiny. Nathan shows Matt a photo of the group. As Arthur's life flashes before him, he remembers the 12. Please refer to Theory:The Company's founders for fan-created theories and other speculation. This page was last modified on 17 September 2015, at 12:39.